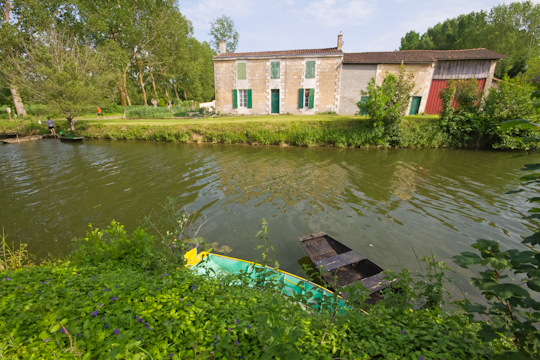 The Marais Poitevin, aptly nicknamed la Venise Verte or Green Venice, is a magical place, a large network of intertwining canals. 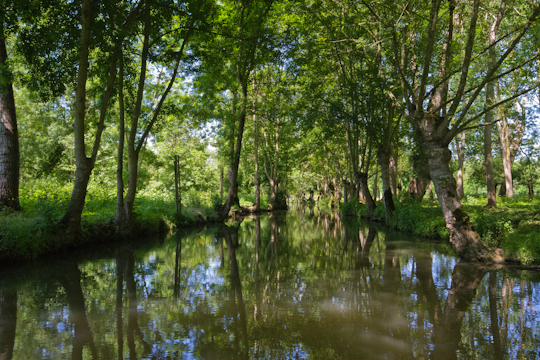 Marais, like the neighborhood in Paris, actually means “swamp” and the Marais Poitevin is indeed a swamp. Yet miraculously, there are no mosquitos! When I first heard this, I knew I was going to love this place. 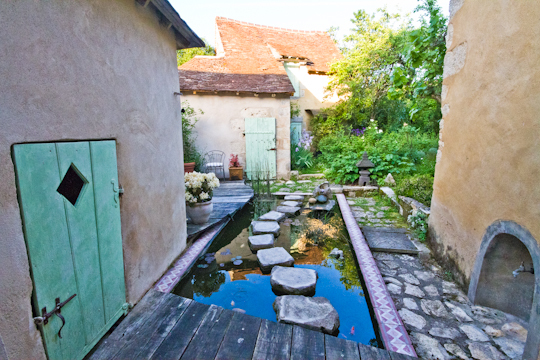 The architecture of the towns around the Marais Poitevin (Coulon and La Garette, for example) looked surprisingly Provençal to me. Perhaps the bright sun and warm weather helped that impression. And we had never seen so many roses in bloom! 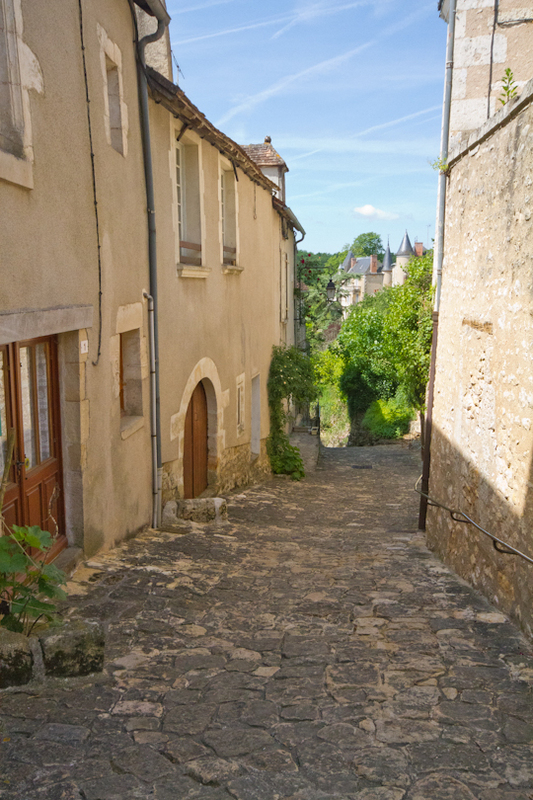 We were lucky to see two of Les Plus Beaux Villages de France (Most Beautiful Villages of France) in this weekend: Vouvant with its 11th century Romanesque church and ramparts, and Angles sur l’Anglin, where we stayed the second night, with its castle ruins and steep cobblestone alleys. 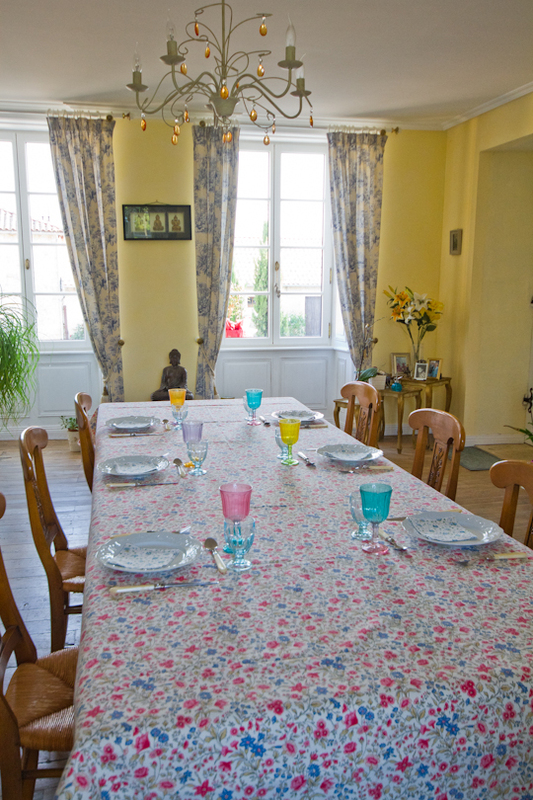 Not only did we thoroughly enjoy exploring new corners of France on this weekend excursion, but we were lucky to have found two wonderful places to stay, both of which I found to be excellent values: Le Logis de la Mélissière in Xaintray and Artemesia in Angles sur l’Anglin. Be sure to take a look at my full itinerary, posted under Weekend Itineraries! 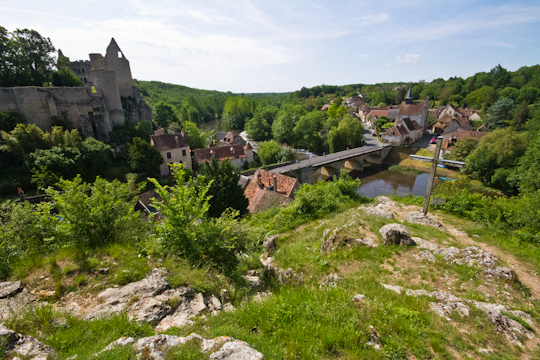 Have you been to either of these regions of France? What did you think?